Ever since he was a child, John Smith always had a passion for cars and dreamt of one day opening his own garage. Little did he know his dream would soon become a reality, setting up a leading auto-parts distributor to supply re-manufactures across the globe. “I started as a dismantler because I wanted a garage and always loved cars as a kid” said Smith. “My friend and business partner used to have a little area at the side of his house where we had five cars. It was unsightly and people complained to the council who chucked us off site”. It wasn’t all bad news for Smith when his mother’s friend found a solution, renting a plot of land to him for a nominal sum to start up his dismantling business. “Back in 1970, we only had an income of £3 a week because I had a job delivering meat from a butcher shop and my friend delivered groceries. We offered £1 a week rent and the guy accepted it”. Once the land was acquired, Smith’s dismantling business started to grow by purchasing excess stock and selling the core on to remanufacturers. 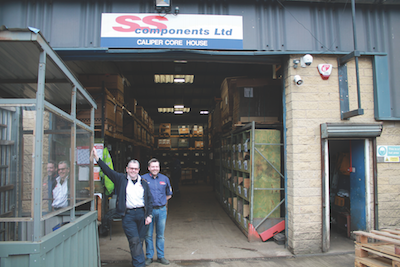 The operation is very different today with the component supplier now spanning five acres with a multi-million pound turnover, we were keen to pay them a visit. 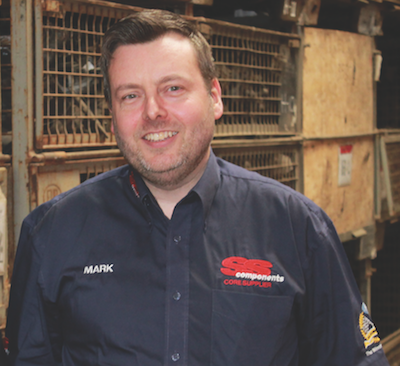 Mark Heaps, Operations Manager for S.S Components, is a known figure within the re-manufacturing industry, having worked for S.S for over a decade and before that at AMK. 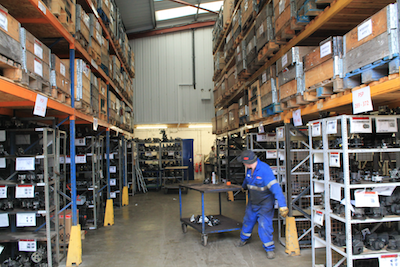 The campus was as different as you could imagine from a traditional breakers’ yard with stock organised, packaged and labelled correctly with the part numbers assigned to each customer order. The main warehouses were breathtaking in scale with seemingly never- ending aisles of components awaiting a second chance of life. 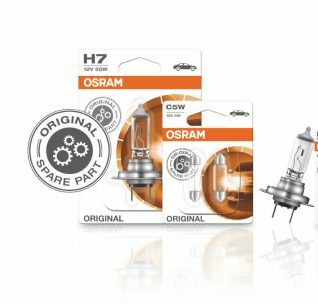 “The biggest part of the company is the component side that we supply”, Heaps explained. 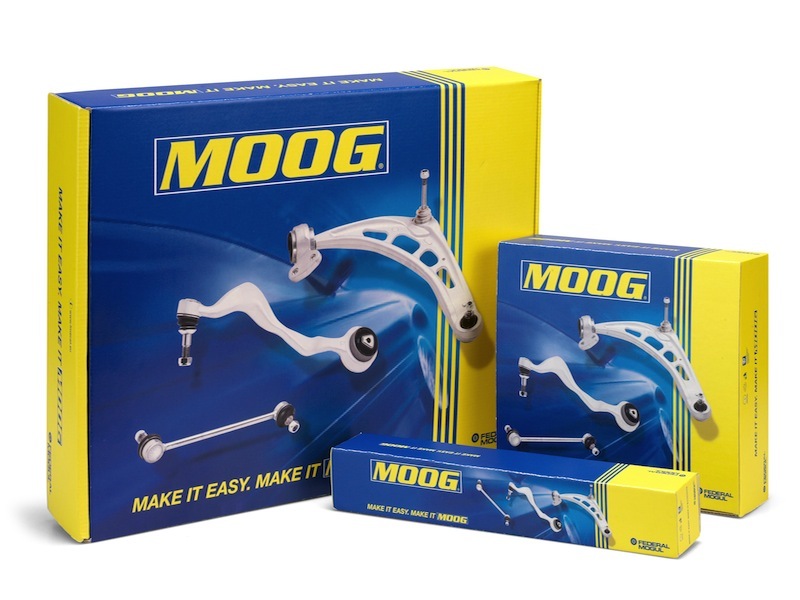 “Our four core products are steering pumps, steering racks, rotating electrics and brake calipers. 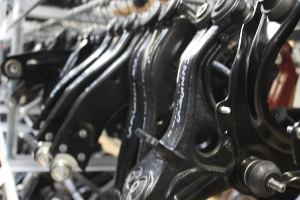 Brake calipers are in high demand with our current stock totalling 261,911 and selling around 21,000 each month”. 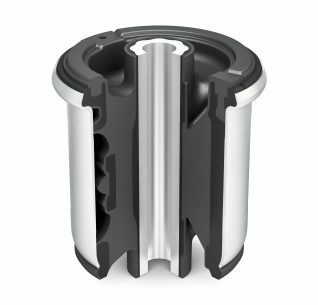 With a large campus to operate, company founder and Director John Smith bought in a dedicated band of 13 remanufacturing professionals to classify and prepare the units accordingly. They also collaborate with an external independent team who scout the most desirable dismantlers and scrap yards around the world to buy and sell the material onto the company. The fleet was also impressive, comprising two tractor units, two trucks and three vans delivering in and around the Mirfield area. As the tour came to a close, Heaps took me through to the main office, where we were greeted by company founder John Smith. Smith was keen to take us through their bespoke system. Through many revisions it has proved to be a valuable necessity for the organisation, keeping track of all the stock, customer orders and deliveries. “The system is unique to us because we’ve designed all of it and made it work”, responded Smith. 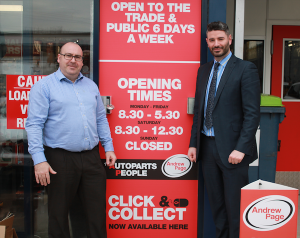 “The USP of our business is that when people ring up we’ve got it in stock”. The system provides customers with a sufficient amount of time to prepare the correct transportation for picking up stock. Heaps added: “We tend to hit 98 per cent and above each shipment, hitting deadlines, supply fulfilments and material that we supply”. 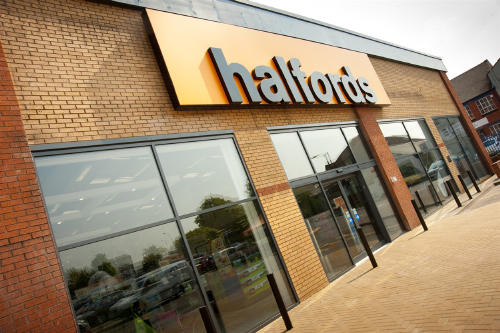 The supplier has also been recognised for its eco-friendly practices, winning the gold category for the Green Apple Environment Award in 2014. Heaps elaborated: “The Green Apple Award is a very proud achievement for us. We save tonnes of equipment from going to landfills. 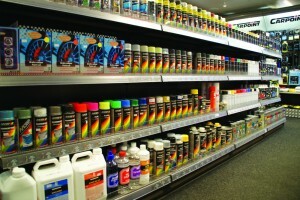 Our business is to buy and sell on, but in doing so we’ve helped the environment”. Finally, Heaps has some thoughts about the supply chain. “We want to educate the guys in the motor factors who sell new rotating electrics without surcharges” he says. Heaps explains that in this instance good core is going to waste because there was no incentive for garages to do anything with the old item. “Instead of scrapping the units potentially they could sell the units to us for far better income than what they’re probably getting” he added. “We’re all becoming more and more aware of being green, efficient and recycling and that’s purely the industry we’re in and I can only see it going one way”. This is true. With ever more legislation on business practices, being mindful of the environment has to remain ‘core’ to all we do. 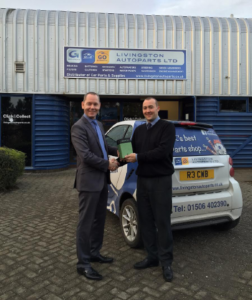 Transmission supplier Shaftec, has announced that is has secured a business partnership with Scottish motor factor, Livingston Autoparts. 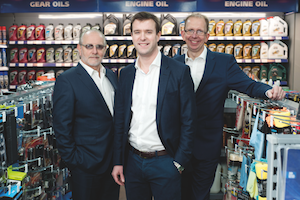 The new alliance has helped strengthen the Shaftec brand as a distributor of braking, steering and transmission components as well as highlighing the companies’ growing presence across the European aftermarket. 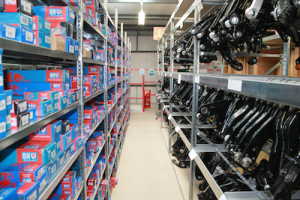 A complete range of both new and remanufactured Shaftec branded steering and transmission components will be available to garages across Scotland from the distributor’s main 10,000 sq. ft facility in West Lothian. Tony Purves, Business Development Manager Livingston Autoparts, added: “Our objective is to give our customers across Scotland access to the best and most reasonable choice of quality brands and products”, said Purves: “The Shaftec brand ticks all the right boxes for us and we are pleased to be able to confidently pass on this offer to Scotland’s garages”. and catalyst manufacturer Klarius Products Ltd. The main allegation made against the company was that replacement catalytic converters were being placed on the market that didn’t meet type approval standards as they bore invalid approval numbers taken from old stock. VCA (Vehicle Certification Agency) carried out the investigation on behalf of DfT. 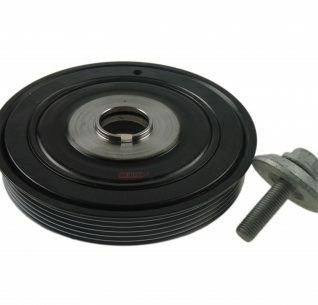 It found that 5127 products were produced bearing the wrong approval numbers. Of these 87 percent were recalled, while most of the rest had already been fitted to cars. The body found the issues at the company to stem from ‘flawed processes’ that allowed these ‘serious mistakes’ in not controlling parts and approval number inventory adequately. This was made worse by a ‘lack of understanding of Type Approval’ at Klarius. 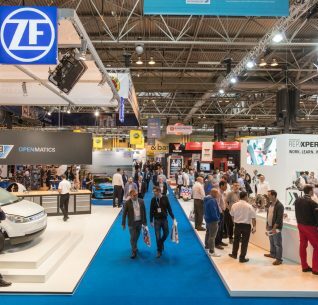 However, a fairly dry wrangle over EC numbers has turned into a wider debate for the aftermarket with industry figures voicing their views. A spokesman for DfT also voiced concern that the “replacement catalyst approval process is not providing the level of confidence in product performance that it should”. 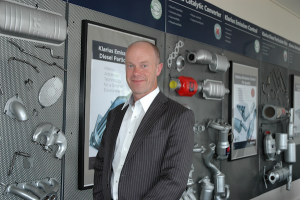 “We would urge others to join us in taking a sensible view on the matter and continue to take positive action to improve the reputation of the automotive aftermarket, rather than conspiring to denigrate it” Paul Hannah, Business Development Director, Klarius noted at the time. The perceived ‘denegration’ might stem from a joint statement issued by competitors BM Cats, TP Cats, Euroflow and EEC. The statement warned that anyone who knowingly supplied or fitted a non-approved device ‘could be subject to a fine of up to £5000 per part and should seek legal advice before doing so’. With the matter now resolved and the VCA happy with practices put in place, let’s hope the aftermarket can put this ugly row behind it.